Skulboy Designs: Plastic In Hand! 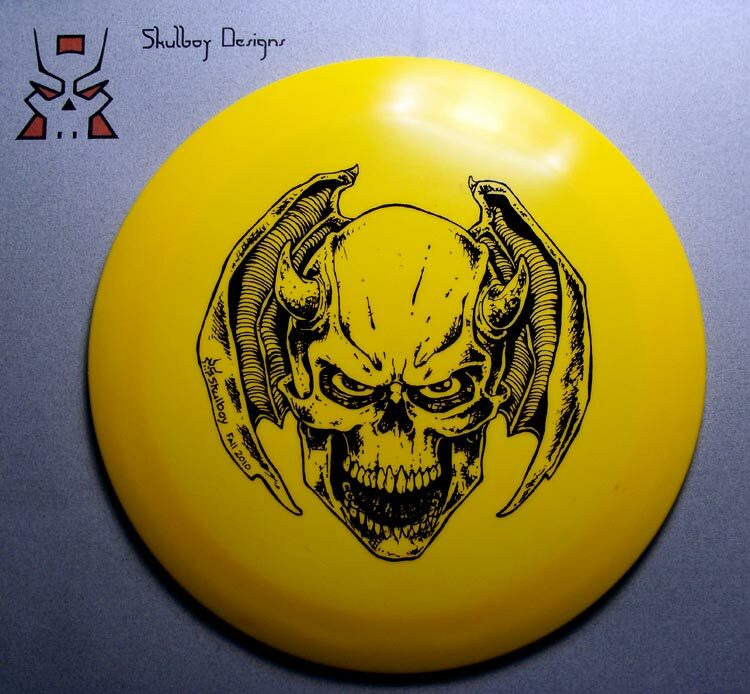 I picked up the Winged Skull hot stamped discs from Innova this week and it was a pretty special moment opening the box and seeing my design in a multitude of colors. The anticipation leading up to that point was killing me. Part of the order now resides in the 19th Hole Pro Shop at Veterans Park, Sylmar CA. Next up, get them into my web store and eBay and see how they do. Got my fingers crossed. Me with Bamba and Steve Rico at 19th Hole Sports.